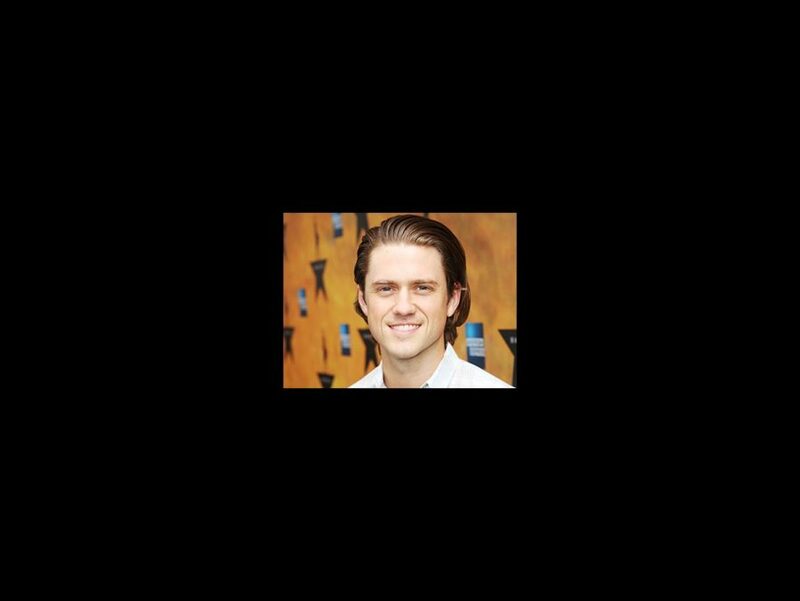 Although he’s been away from the Broadway stage for four years, Aaron Tveit is giving his fans (and trust us, there are many) a steady stream of great roles on the big and small screen. Perhaps the most exciting one for theater fans will happen on January 31, 2016, when the Broadway.com Audience Choice Award winner will play Danny Zuko in FOX’s Grease Live! But there’s also Graceland, the addictive USA Network show that is in its third season, and a handful of roles in upcoming indie films, the first being the dark, psychological thriller Big Sky, now in limited release and available on VOD. Broadway.com recently chatted with Tveit to catch up on his rising career. It’s good. It kind of just started. We just finished shooting Graceland a few weeks ago so it’s summertime now! Season three of Graceland is heating up, your indie Big Sky is out and now the big news about Grease Live! There’s a lot of Tveit in the headlines. Grease is the word, man. What can you say? I watched Big Sky, which was gripping—nice and creepy. Lot of crazy people wandering around that desert. I found all of the characters so interesting. This young girl who’s dealing with her agoraphobia and can’t go outside, and her relationship with Kyra Segwick, her mom. They’re kind of at this point where they need to decide if they’re going to make it work as a family or not. That parallels with Pru, my character, and his brother Jesse, played by Frank Grillo. Jesse is looking after Pru, who is doing his best to keep everything together but he’s also at wit’s end. Even thought Frank and I play the “bad guys” in the movie, it’s not so cut and dry that way. Pru doesn’t really have anyone to talk to and has a habit of shooting people and then apologizing. You like these lost guys, don’t you? The more complex the better. That’s why I really liked Pru. He’s dealing with these emotional issues that are undefined and there’s talk that he’s been through some physical abuse… There were a lot of blanks to fill in and to figure out for myself. I had a really fun time doing that. What’s it like being on these indie movie sets? What was your down time like in Albuquerque? There wasn’t much downtime. The thing with these indie films is the shooting schedule is so much shorter than if you were shooting the same script on a big budget. You just get there and everybody is ready to go, so you just do it! Nobody has time to bring their ego. You just have to get the work done. I like that element a lot. This one in particular was great. The whole cast and crew were wonderful. I had a great time with Frank Grillo talking ahead of time about the relationship between our characters so by the time we stepped on set, we at least knew how to step right in and get working. This Grease Live! news is very, very exciting! I’m super excited about it. The fact that America wants to see these musicals live on television is an amazing thing. It’s so cool! I assume you don’t really have to learn lyrics. Doesn’t everyone know Grease? Yes, it’s one of those things where you kind of know it all, but at the same time, the whole Danny Zuko/John Travolta thing… It’s such an iconic performance that even for the audition, I literally had to read the sides to myself out loud for two weeks to get his voice out of my head. He’s so brilliant. When I say brilliant, I mean BRILLIANT in the movie. The tone he finds with Danny Zuko is so perfect that you can’t do that. I can’t do that. Nobody can do that! So I didn’t want to go in and do a Travolta impression. I had to find whatever it was for me. Do you think there’s going to be a flavor of Travolta in there or a complete new thing? A lot of people say they don’t like to watch other people’s performances. I kind of say screw that. If somebody’s amazing at something, I want to watch it and try to figure out what the heck they did. In the film, Travolta is charming, self-conscious, tough, sweet. It’s all there at any given second in his performance. I hope I can bring some of what he brought to it. You’ve got a great cast, too. The cast is fantastic. I’m excited to work with Vanessa [Hudgens] again. We had a great time doing Rent together. And I got to do a screen test with Julianne [Hough], and she was just great. We were all done up for the screen test. She was in a poodle skirt with the long, blonde wig on. She looked perfect. And to know that she has this other massive tiger inside her that comes roaring out when she performs is exciting. I mean, she’s going to be perfect. The fact that they got Thomas Kail to direct was basically the thing that made me say, “I’m in.” I’ve been dying to work with Tommy, so I’m really thrilled about that. How big will the Zuko hair be? The hair will be big. The. Hair. Will. Be. Big. My hair’s probably the longest I’ve ever had it right now, and we’re still like three months away, so we’re going there. I don’t know what they have planned, but I have plans! Zuko is supposed to be the coolest cat around. Don’t, like, trip on live TV. Oof, I know. Thanks for reminding me. I know, pressure’s definitely on!